Medically unexplained symptoms are physical symptoms that have no currently known physical pathological cause. They are common (accounting for as many as 1 in 5 of new primary care consultations) and can impair function and cause significant distress to patients. This longitudinal cohort study conducted by researchers from London set out to understand these presentations in terms of the doctor-patient relationship, specifically to test the hypothesis that such patients have insecure emotional attachment. The study followed 410 patients with medically unexplained symptoms from 10 general practices in the UK. Patients answered a baseline questionnaire which assessed adult attachment style, psychological distress, beliefs about the symptom, non-specific somatic symptoms, and physical function. They were then consulted further via a telephone interview which measured health worry, GP management and their overall satisfaction with the consultation. 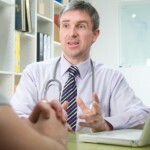 The main outcome was annual GP consultation rate. The prevalence of insecure attachment was 28% (95% CI 23-33). Patients with medically unexplained symptoms who attend frequently have insecure adult attachment styles, and their high consultation rate may therefore be conceptualized as pathological care-seeking behaviour linked to their insecure attachment. Understanding frequent attendance as pathological help seeking driven by difficulties in relating to caregiving figures may help doctors to manage their frequently attending patients in a different way.